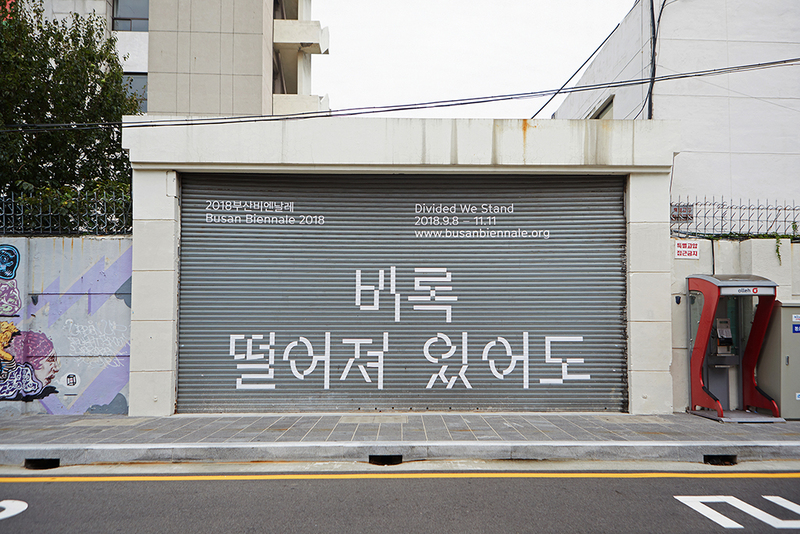 일상의실천에서 2018부산비엔날레 디자인 어플리케이션을 진행했습니다. 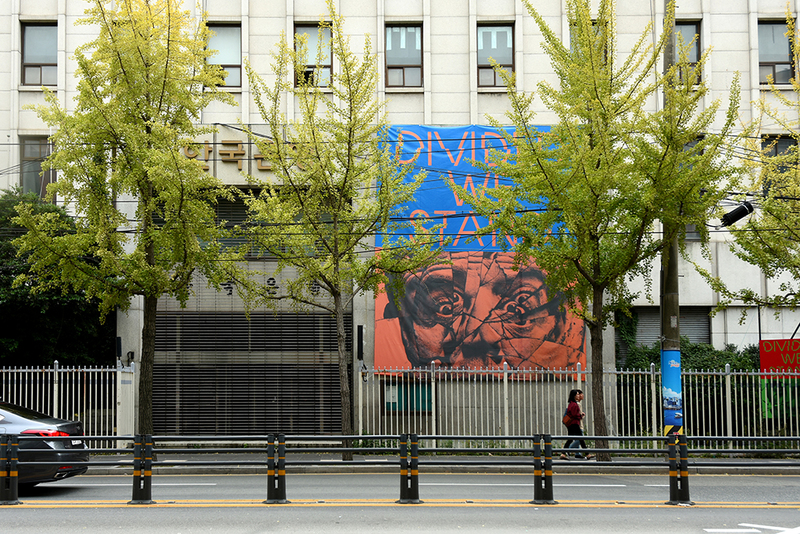 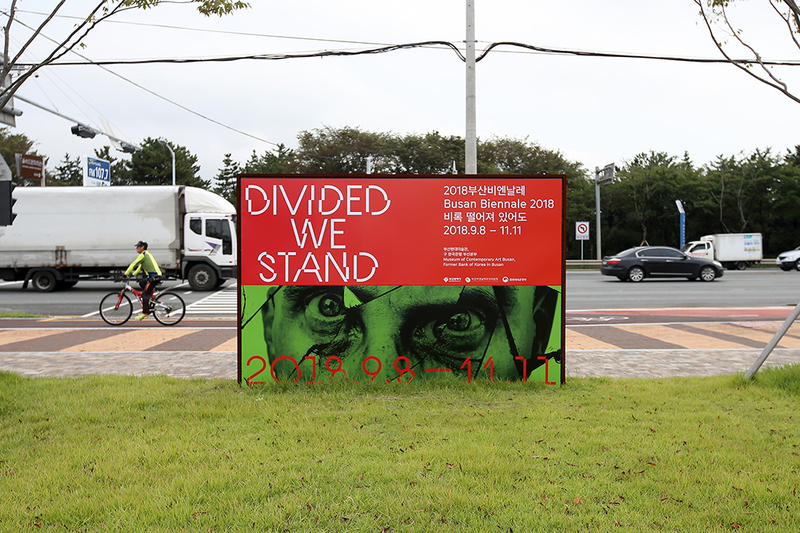 전시의 주제 ‘비록 떨어져 있어도(Divided We Stand)’를 상징적으로 반영한 타이포그래피와 컬러의 대비를 인쇄, 공간, 굿즈 등 다양한 어플리케이션 디자인에 적용했습니다. 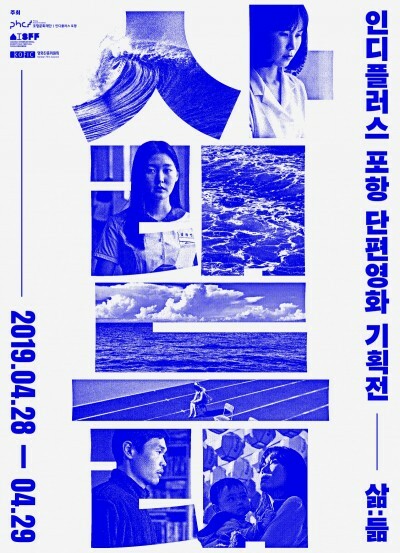 일상의실천은 강렬한 보색을 포스터의 상하단에 배치하여 전시의 핵심개념인 ‘분리’를 직관적으로 표현하고, 전 세계에 존재하고 있는 다양한 층위의 대립과 갈등을 포괄적으로 시각화하기 위해 다양한 인종과 성별의 분절된 이미지를 적용하여 봉합되지 않은 ‘불편한 충돌’을 극대화하기 위해 노력했습니다. 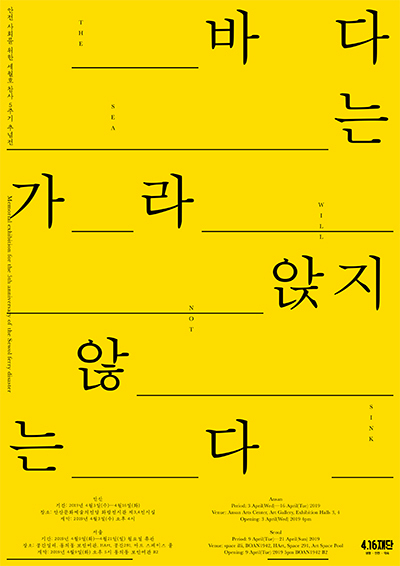 포스터에 적용된 분절되고 뒤틀린 로고타입 아이덴티티와 이미지, 색상의 대비는 물리적현상에 기저하고 있는 심리적 분리에 대해 정면으로 응시하고자 하는 이번 2018부산비엔날레의 주제의식을 관통하기 위한 시각적 장치입니다. 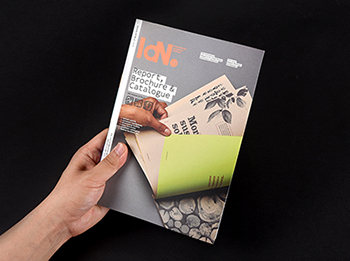 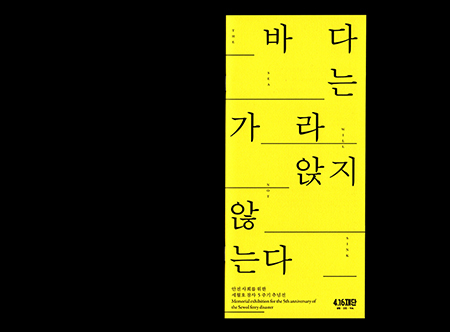 We designed various applications for the 2018 Busan Biennale. 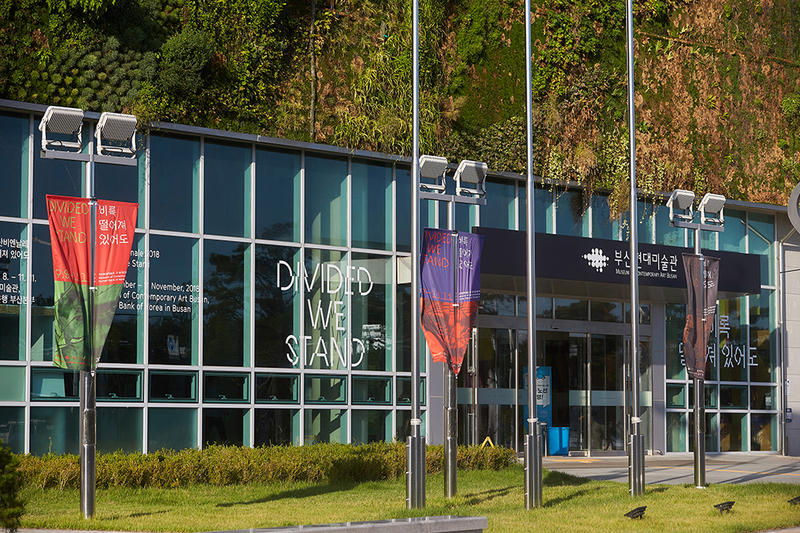 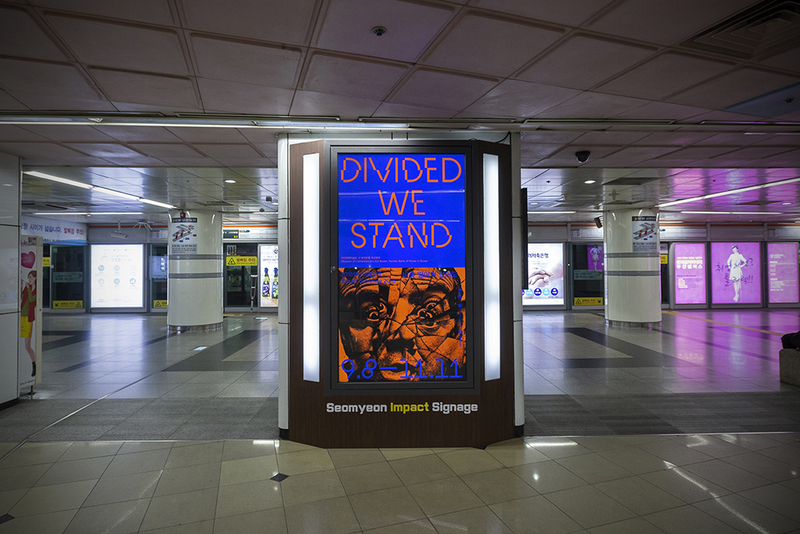 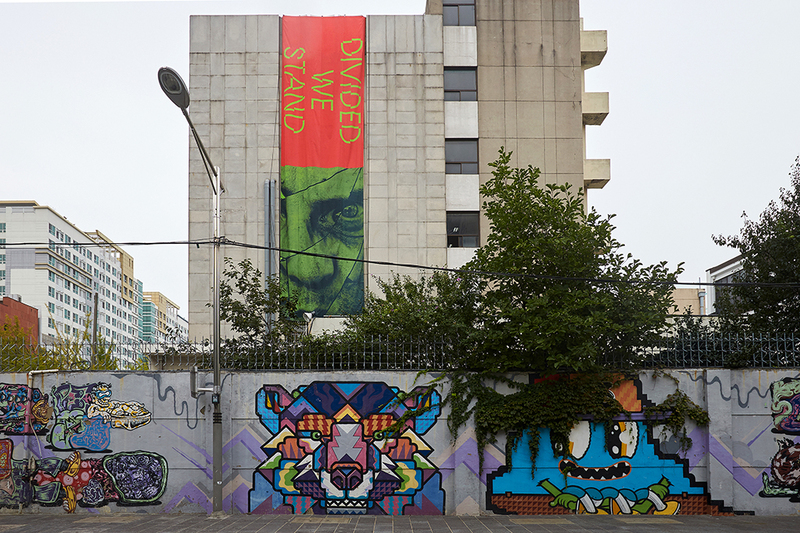 A typography and color contrast symbolically reflecting the theme of the exhibition ‘Divided We Stand’ are applied to a variety of application designs, including printing, space, and products. 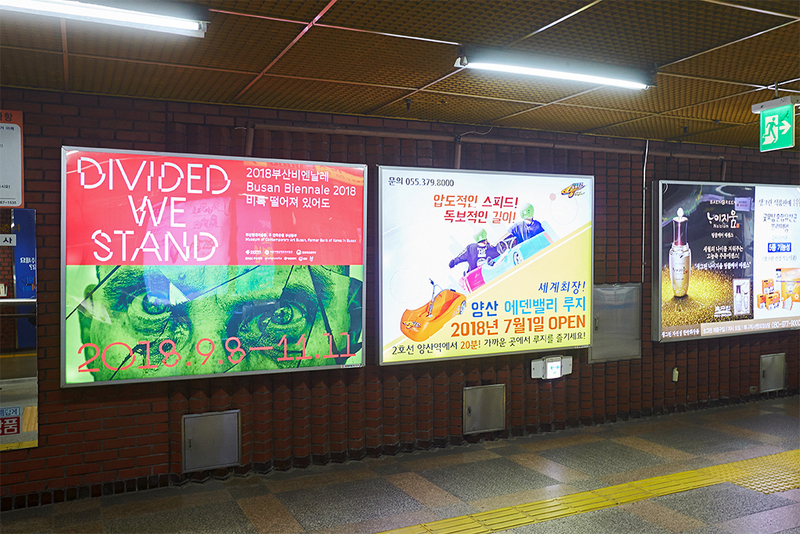 We designed the strong color at the top and bottom of the poster to express the core concept of the exhibition, ‘separation’, and applied different layers of conflict and conflict that exist around the world to comprehensively visualize each other. 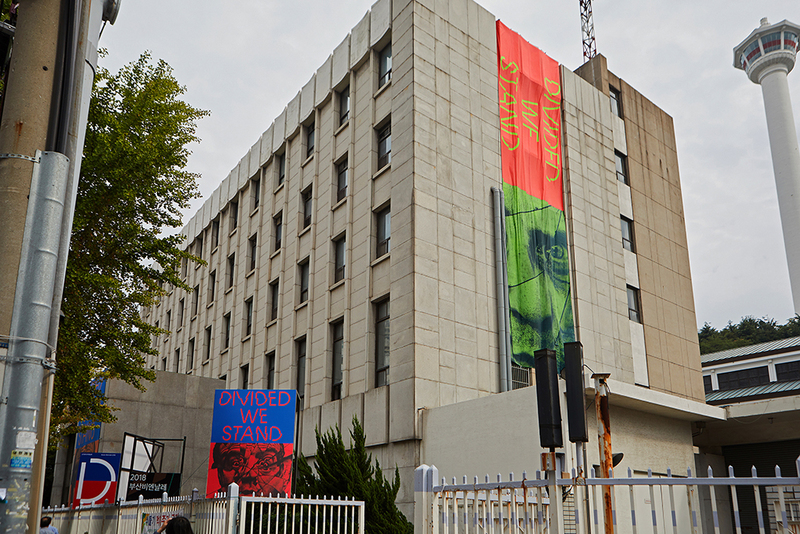 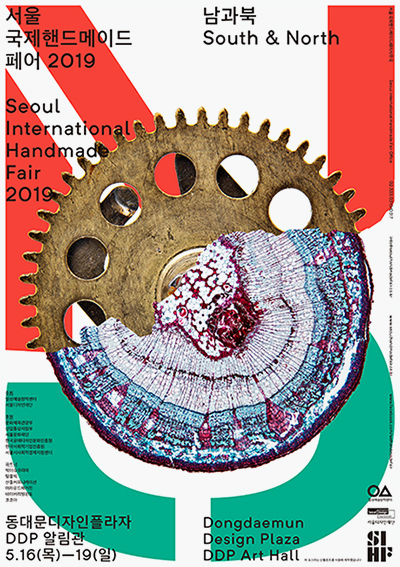 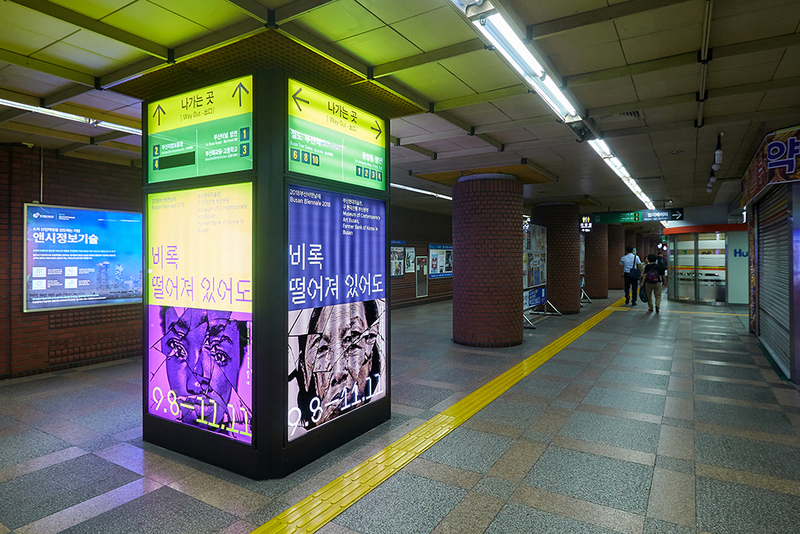 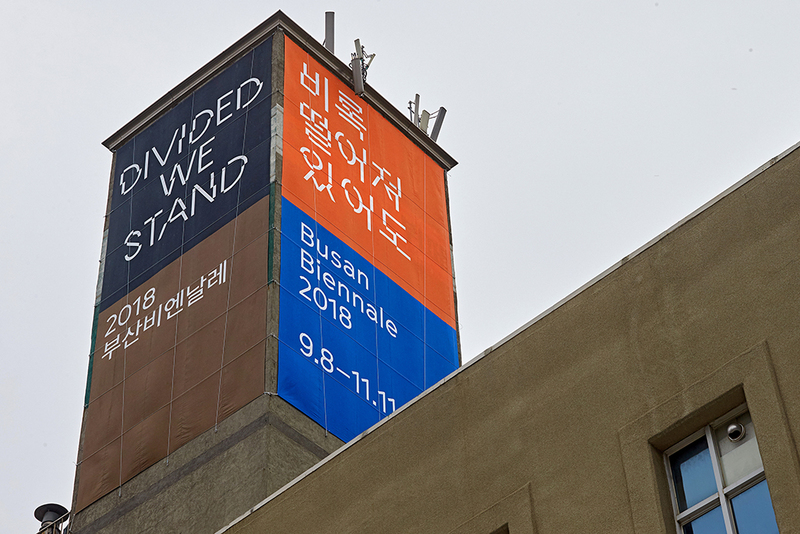 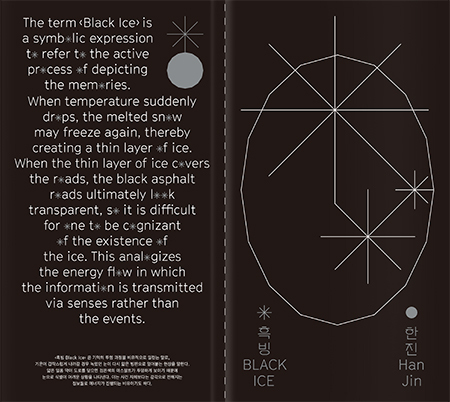 The fragmented and twisted logotype identity, images and color contrast applied to the poster are intended to penetrate the theme of the 2018 Busan Biennale theme.